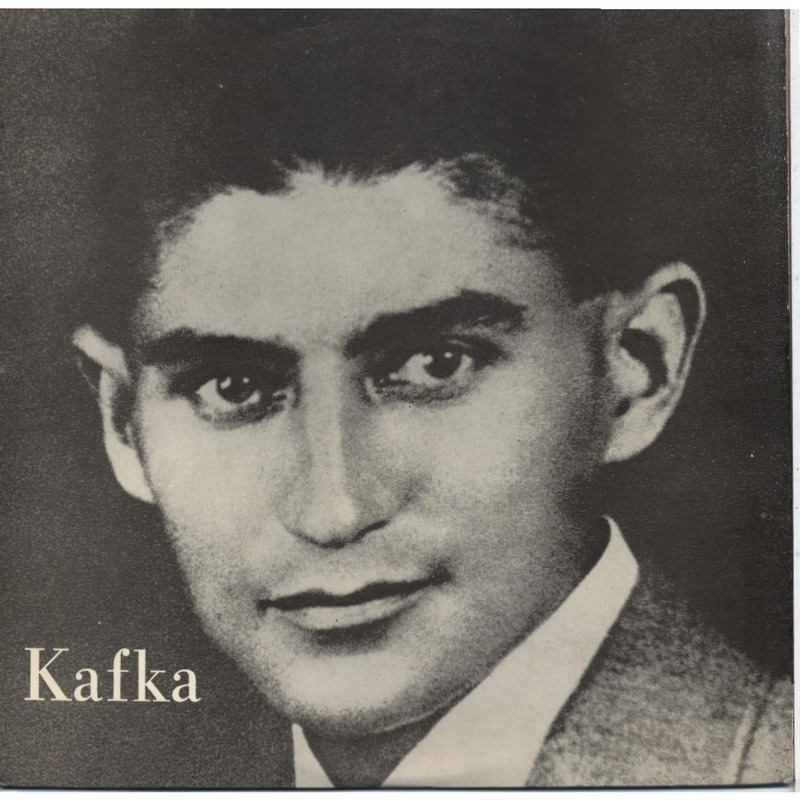 I was introduced to Franz Kafka the writer by my uncle who himself had read in his college days many of the writer’s works but gave Kafka up to concentrate on law & finance. I read him because I was fascinated by his personality & the fact that he possessed a schizoid personality disorder whose writings I wished to study carefully. Before I could read Kafka’s works however, I made sure that I did a bit of research on the man & that took me a while which is uncommon in me. But Kafka is a great writer to reckon with, & ‘The Trial’ is a book which left me quite perplexed. Franz Kafka was a Jew born in Prague, & who spoke in German. Most of his works were published posthumously by his friend Max Brod who I indirectly admire for doing so & gifting Franz Kafka to the world of literature & philosophy. Kafka wrote mostly short stories but he wrote a few novels like ‘The Trial’ but most of them were left incomplete due to his untimely death. ‘The Trial’ is also incomplete but mind you that adds to the beauty of the work in a peculiar way. The story is about the unseen or invisible court & justice system of the Austro-Hungarian period. It was a novel useful to me not only where literature was concerned but also, to enhance my understanding of the situation of Austria & its neighbors before the rise of Adolf Hitler in Germany. It is also stated that Kafka through his writings almost prophesied the merciless extermination act against the Jews (he succumbed to tuberculosis before Hitler came on the scene). ‘The Trial’ is the story of an innocent man by the name of Josef.K. who has been charged of a crime by the invisible court which he has definitely not committed. The novel goes on to show how K tries to fight for justice & instead is killed ultimately in the end without being proven innocent. The beauty of it all is that, the charge against K is not mentioned at all during the whole narrative & yet, the indignation that K feels when his lawyer does not aid him or when he is unjustly sort of arrested on fine morning on his thirtieth birthday is felt by the reader as well. This was an early warning given by this master of modern 20th century literature to the whole world about the evil of the invisible court. This novel prophesies the death of many Jews in concentration camps for a crime they have not committed as well as the killings of innocent Russians during Stalin’s era. The novel prophesies the death of liberty at the very hands that shaped it, the hands of justice. Kafka shows through the example of the businessman Block, whose case had been going on for five years, how he was now a mere shadow of his former self & now was only concerned about his case which according to Titorelli, the Painter would never end in absolute justice & freedom. Block to this extent even stays like a slave in the house of his lawyer who calls for him at odd hours & who treats him like a worm. K did not want the service of such a lawyer & to be grovelling like Block….& therefore meets his end in an abandoned quarry. The character in the novel I admire the most is the painter Titorelli who is a court painter & who lives in a dilapidated shamble of a studio. He amuses me thoroughly when he explains to K about the different ways he could help him & also the way he suffocates K in his room by not opening the window or doors of his ill ventilated studio. The novel in fact is suffocating thanks to the vivid descriptions & master storytelling. The heat felt in the artist’s studio is not only felt by K but also by us the readers as well as those readers who are aware of the faulty system of justice even in our own present ‘democratic’ times. ‘The Trial’ gave me a glimpse of the futility of justice in the modern world where everything is like a riddle with many interpretations, just like the riddle told by the prison priest to K in the novel, about the door keeper. The novel shows how justice can be manipulated & how a case can go on for years & years while the lawyers & judges make merry. According to Titorelli, perfect justice is a legend while Block states that a great lawyer is never found (as in honest). All this rings a bell, in the sense….it is happening even today, in India itself. The Austrian Hungary bureaucratic system is also ridiculed & dry humor which is my favorite is also at times evident in the novel especially in the first part when the innocent K is arrested & his breakfast is eaten up by the wardens who come to arrest him. Leni is another character in the novel who interest me. She is the nurse of K’s lawyer and is madly in love with K … because she finds all condemned men very attractive. In fact, K’s senile lawyer even gives K a detailed description about how people who are involved in a case seem to the judges to also look very attractive which disgusts K.
Franz Kafka really brings out truth in this work which ignites one to think about the past, present & future of one’s government & especially ones justice system. He aids us to take a long & careful look at our bureaucracy & how will the future define its justice system. Will justice be equal & available to all, or will all citizens who approach justice be suffocated the way K was suffocated when he entered the attic filled with court offices ? Only time will tell whether K’s story will also be repeated in the 21st century … or will something worse take place which we all will have to endure.